Send someone a little taste of the islands to let them know you're thinking of them. Large glass dish is filled with white sand and beautiful seashells. 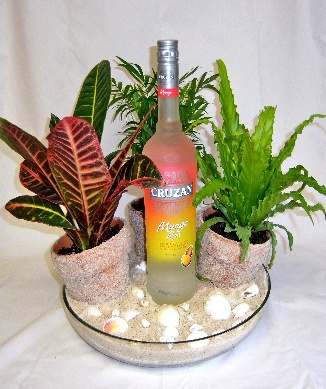 Atop the sand sits three tropical plants and a bottle of rum. Local only, can't be shipped!